Hi from the Tiny House! We've been hard at work preparing this little abode for baby girl. It's coming together! Helps that my wardrobe has shrunken down immensely (whether I like it or not) as my belly grows. 6 weeks left and counting! I'm obsessed with this tiny cottage in Sweden. 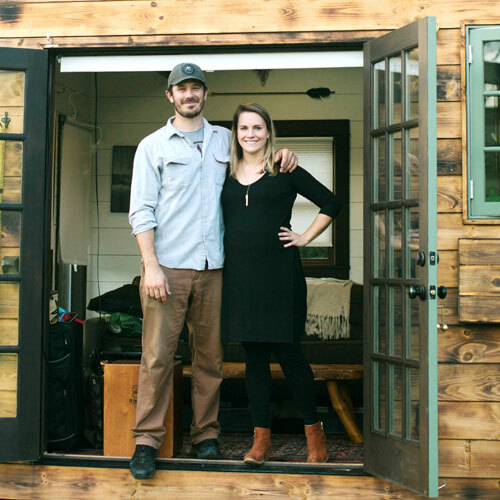 Live small without moving into a tiny house. There's room for pets in tiny homes too. It's so fun that we've met some local tiny house friends! Check @nosenseofproportion and @tinyhousefamily out on Instagram :). The connection between clutter and finances. Creative ways to declutter your home. A case for eliminating most of your wardrobe! I enjoyed this article. Favorite quote: "When minimalism and the pursuit of simple turns into a weird competition of who can want the least, the point has been missed."